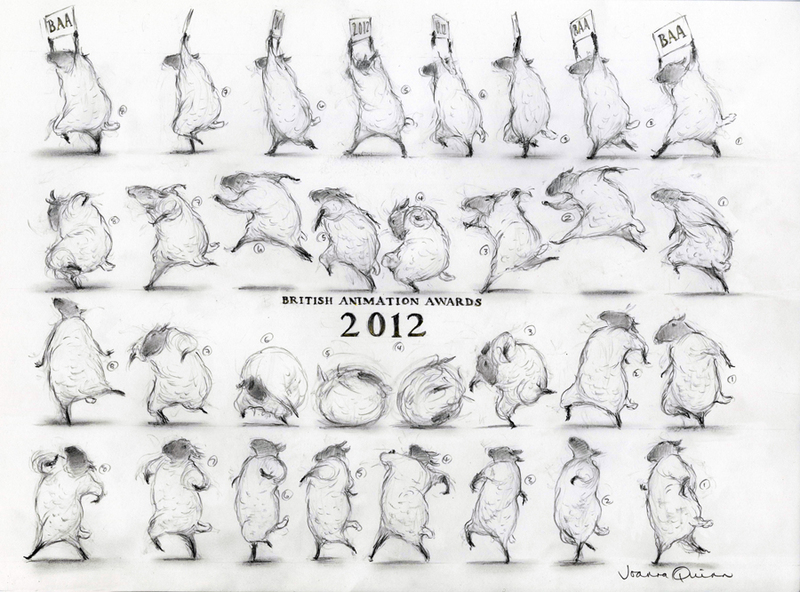 It’s time for the British Animation Awards again! This year Beryl Productions is proud to be sponsoring the event and Joanna has also done one of the BAA awards this year. Winners receive original pieces of Art created by animators and artists especially for the event. Congratulations to Jayne Pilling and Gulsen Yanik for once again managing to raise the money and organise the awards. Unsung heroines.